Two sides that embody the African football cliché of being ‘powerful’. Two sides with vastly different philosophies, yet are known for building their sides around a strong core of midfielders, compensating for glaring weaknesses in other areas of the pitch. Yet, for all their strength, this game has the underlying feeling of being a final denouement for players who’ve arguably carried these two teams for the best part of a decade. In the Ivorian corner, we have Yaya Toure. If Cote d’Ivoire are eliminated, it’s doubtful whether he has another AFCON left in him. His brother Kolo has already announced his retirement from international football on conclusion of the tournament. Left back Siaka Tiene is another who may or may not have an opportunity to compete in another AFCON. For Mali, the journey truly started at the Athens Olympic Games in 2004 where their U-23 side reached the quarter finals. Soumbeïla Diakité, Adama Tamboura and Drissa Diakite were all part of that famous side. Throw the evergreen Seydou Keita into the mix, and it’s easy to see that for the losing side it really will be curtains on both this AFCON and the life cycle of an integral footballing generation. Both teams laboured to 1-1 draws in their opening matches. For Cote d’Ivoire, they struggled against a Guinea side who were both forward thinking and confident in their own ability. It was only after going 1-0 down and having Gervinho sent off that forced Cote d’Ivoire to awaken. Not for the​ first time, doubts are swirling around this Ivorian side. Is the decline which was hinted at during a subdued World Cup campaign in Brazil actually terminal? Against Guinea, Yaya Toure looked like a shell of his dominant Manchester City-self. Ineffectual, seemingly disinterested, he drifted through the game. 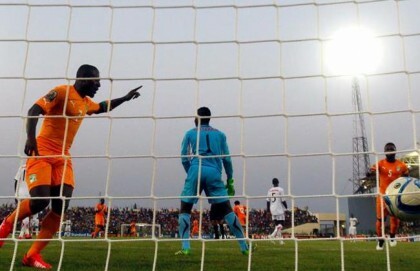 Herve Renard exhibited brilliant tactical nous in withdrawing Kalou and Serey​ Die after Gervinho’s sending off, and this seemingly invigorated Cote D’Ivoire and they frantically spent the last few moments searching for a winner. And yet, the question marks still remain: much like DR Congo, is the main enemy of Cote d’Ivoire predictability? Neutralise Gervinho (or simply get him angry) and the whole teams seems to wilt. Huge question marks remain over that backline too. Serge Aurier seems to divide opinion and was actually at fault for the Guinean goal. Kolo Toure performed admirably but just a quick glance at that back four doesn’t inspire confidence. For Mali, they’ll be happy with the point they earned against Cameroon. The cynic in me believes that they’ll want more of the same. I’ve said it before, and I’ll say it again: their focus of this tournament is very much on avoiding defeat now and taking 3 points in their last match against Guinea. Against Cameroon there were impressive performances from both Ibrahima Traore and Mohamed Yattara. In fact, Henryk Kasperczak will be looking at the positional indiscipline of Serge Aurier, the accident waiting to happen​ that is Serey Die, and feel they’ll be a few goals. However, I wouldn’t expect Mali to drift far from what they know, which is very much centred on disrupting the opposition, keeping things tight and then taking chances when they arrive. The performance against Cameroon will have done a lot to encourage this crop of Malian players. They arguably had the better of Cameroon during the first half, created chances and were only denied by a late equaliser.